Afew weeks ago, I found out I would be making a very short trip to Singapore for work. Three days. 72 hours on the ground, and approximately 36 hours of air travel. After accepting the inevitably long flight time and the fact that I wouldn’t be able to tack a real Asian vacation onto the trip, I booked my flight to build in an extra afternoon of exploration time before meetings started, and started dreaming. About food. In all honesty, food is the only reason I’ve ever wanted to come to Singapore, and it’s never been quite strong enough of a driver to propel me halfway around the earth just to eat. As a kid, I only knew Singapore as the place where you could get caned for spitting out your chewing gum (a thought that still haunted me a bit every time I popped a piece of gum during the trip). More recently, I knew of it as a somewhat mysterious, meticulously clean melting pot with a much higher price point than other nearby countries in Asia. It wasn’t until my flight over here, armed with a few extremely outdated travel guides and a lot of spare time on the flight, that I made my first attempt to understand what Singapore is all about…and why it’s supposed to be so delicious. Singapore is a young country. A young city-state to be more exact. 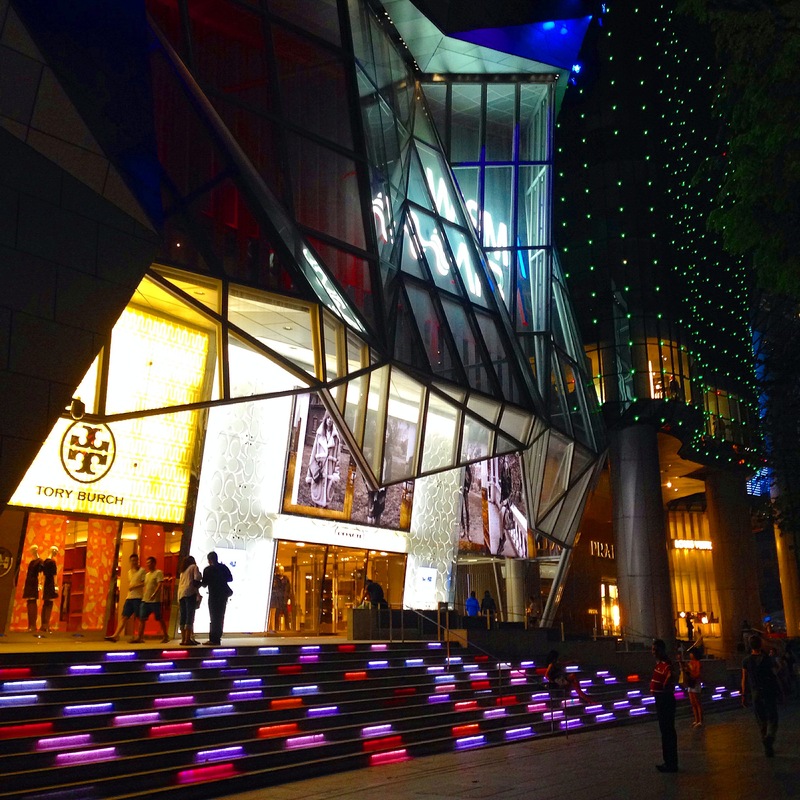 The country as we know it was founded not so long ago in 1819 by Sir Stamford Raffles when he signed a treaty with the Sultan of Johor to establish the Southern part of the island as a British trading post. Realizing its strategic significance, due to its location at the end of the Malay Peninsula, the British built the place up, eventually establishing rubber plantations that brought in lots of migrant workers from India, China, and other places. Before Raffles’ arrival, there were only about 1,000 people living on the island, most of them indigenous Malays. So as the island became more and more developed, it also became more and more diverse in a pretty unique way, since there wasn’t a significant native population present. Malays, Chinese, Indians, and Eurasian people all mixed together to form a state with many languages, religions, skin colors, and customs. Peranakans, Singapore-born descendants of Chinese settlers who came to Singapore in the 15th-17th centuries, I guess are the closest thing to a modern native population, and the bulk of them have a mixed heritage, largely Chinese and Malay. The point of all this is that this place is diverse. 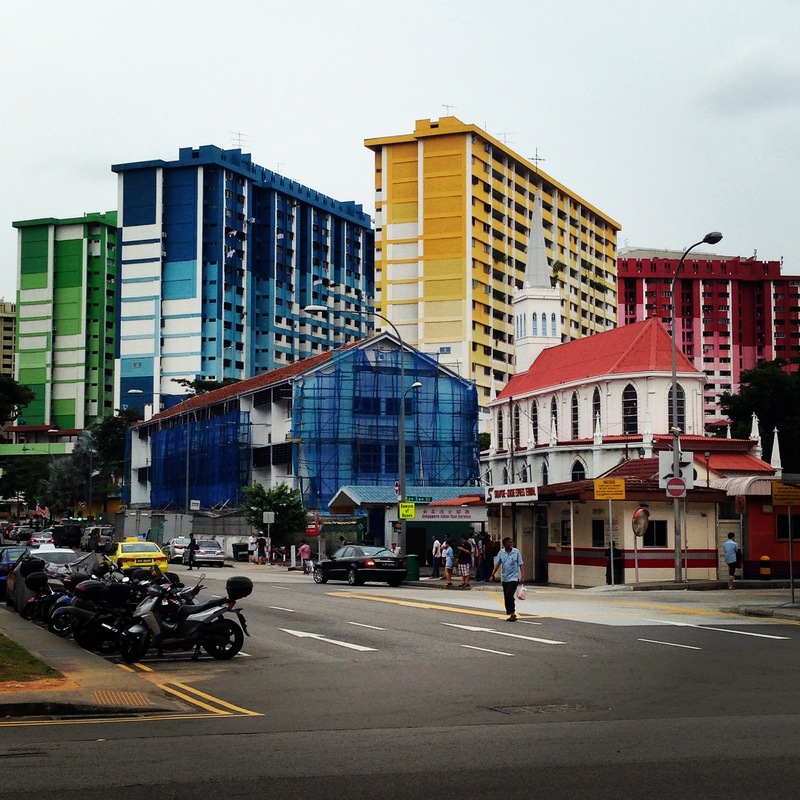 I’ve never really been anywhere like it, and riding the MRT (Mass Rapid Transit) is a pretty illuminating window into just how diverse Singapore is. Aside from the crazy range of language, race, and culture that you’ll see displayed in any station or train car, one only needs to go down any metro line and read the station names to realize that you are in the midst of a ethno-cultral hodge podge: Orchard, Kampong Bahru, Tai Seng, Little India, Joo Koon, Lavender, Khatib–you would never guess those stations were all in the same place. A Singaporean staple, one of the city-state’s national dishes (there are multiple, naturally), and an affordable and easily-accessible example of down-home cooking. 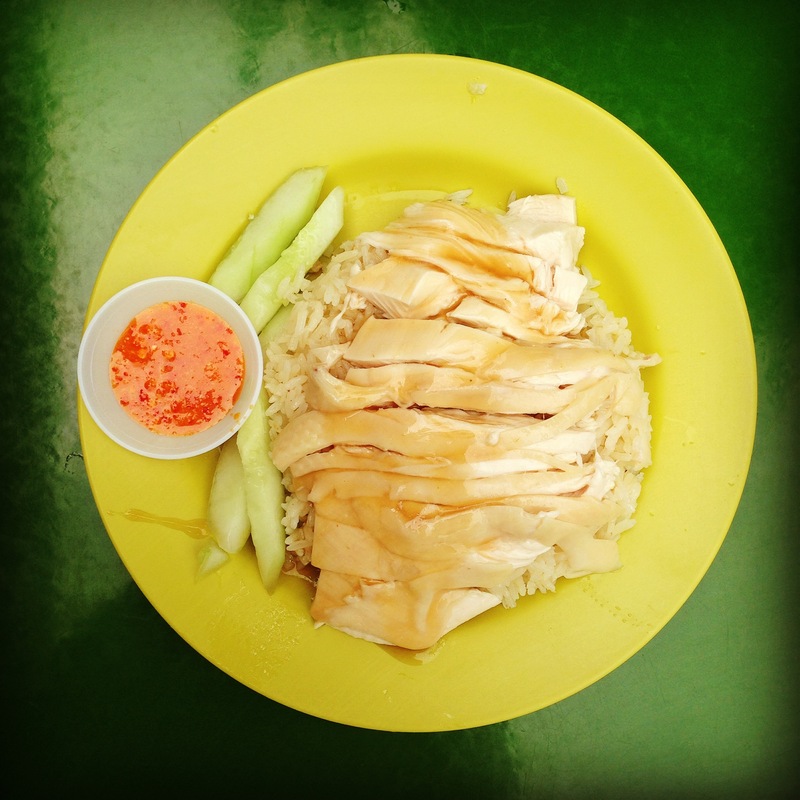 Chicken rice is exactly what it sounds like: chicken and rice. The chicken can be cooked in a variety of ways, but in Singapore, the “must try” variety is poached, then dunked in cold water to form a gelatinous layer right under the chicken’s skin. The chicken is served at room temperature over a bed of steamy rice that’s been prepared in the drippings from the birds. It is good. Really good. But super simple. The chicken is cool and tender, the rice is hot and super flavorful with a great texture from the added drippings, but that’s it. To me, this dish was just a great simple plate of food. I think you will enjoy it most if you think of it the same way…there is a lot of hype around it amongst travelers to Singapore, and I think that risks taking something away from the experience of eating it. But go. Find a place that looks good. Grab a plate, and just enjoy it. I was obsessed with finding Kaya toast. But like Chicken Rice, it’s everywhere, and it’s simple! Just look at that picture. Not exactly a showpiece meal. I went to Ka Yun Kaya Toast and got a combo Kopi (local style coffee that is roasted with butter or margarine and served with condensed milk in a variety of different combos) and Kaya toast on my first afternoon when I just needed a break to sit down, and it was lovely in its simplicity. You will find Ya Kun outposts EVERYWHERE, especially in malls, but I couldn’t really go a few blocks without seeing a kopitiam or toast place. 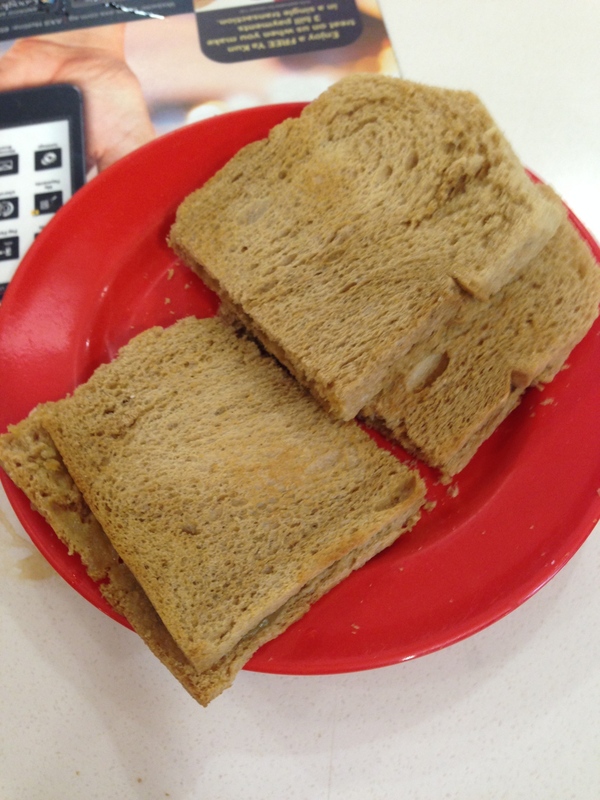 If I had more free mornings, I would definitely make an effort to indulge in a full Kopi and Kaya Toast breakfast. And I bought two mini jars to bring home! I LOVE BAK KWA. I had only ever heard of this jerky-style dried pork product before because I know my friend’s mom loves it. She is from Hong Kong, but evidently Bak Kwa is a treat that is enjoyed throughout Hong Kong, China, Singapore, and the surrounding countries, and it is so delicious. It’s basically greasy dried meat, which sounds awful, but if you like jerky, especially the thick meaty variety, you just need to buy this. It’s not cheap, but you also can’t bring it back to the US, so just buy some and enjoy it while you can. I went to the above spot (no photo due to scarfing this down too fast), but if you are on New Bridge Road in Chinatown you will pass dozens of bak kwa outlets to pick from. This was one of my least favorite things, though I still managed to eat most of it. 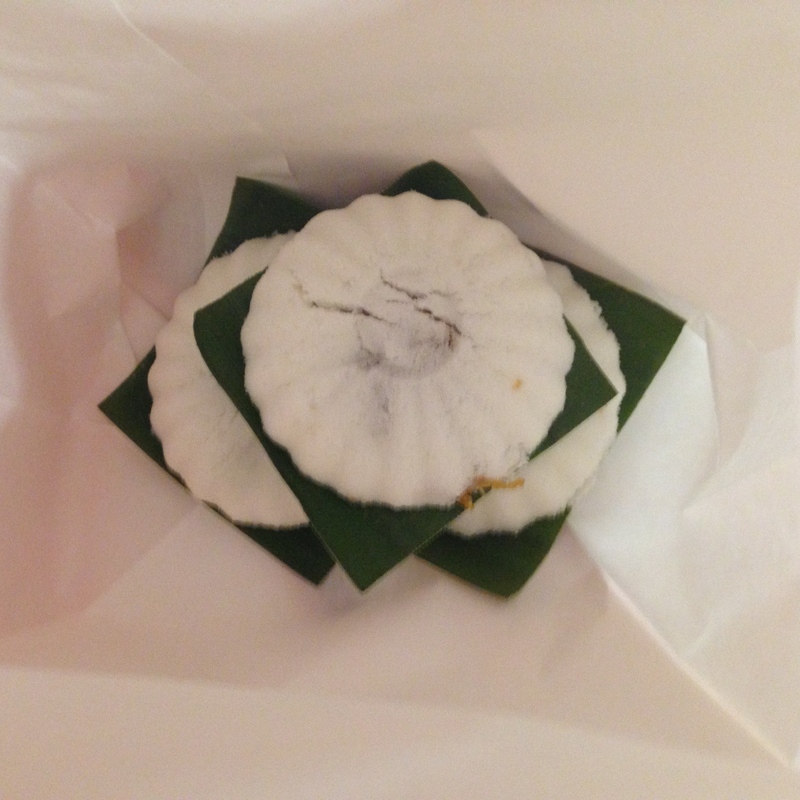 They are weird little cakes made out of rice flower, stuffed with different fillings like peanuts, coconut, chocolate, or red bean, then steamed in a mold. I could also hardly manage a photo as they were so hot that they were steaming up my phone lens. They looked so nice and fluffy here that I was dying to try these, but they ended up being more dense than I expected and I just didn’t love them…one day I’ll give them another try. I felt like a massive fatty eating this breakfast, but it was damn tasty. I sat outside by myself at a nice sidewalk table and watched people queue up all morning to eat here. After the peanuts (they are not free, but I love peanuts, so ok), I used the pencil and check-list style menu they gave me to order a selection of yummy treats, mostly fried, to indulge in at 9am. 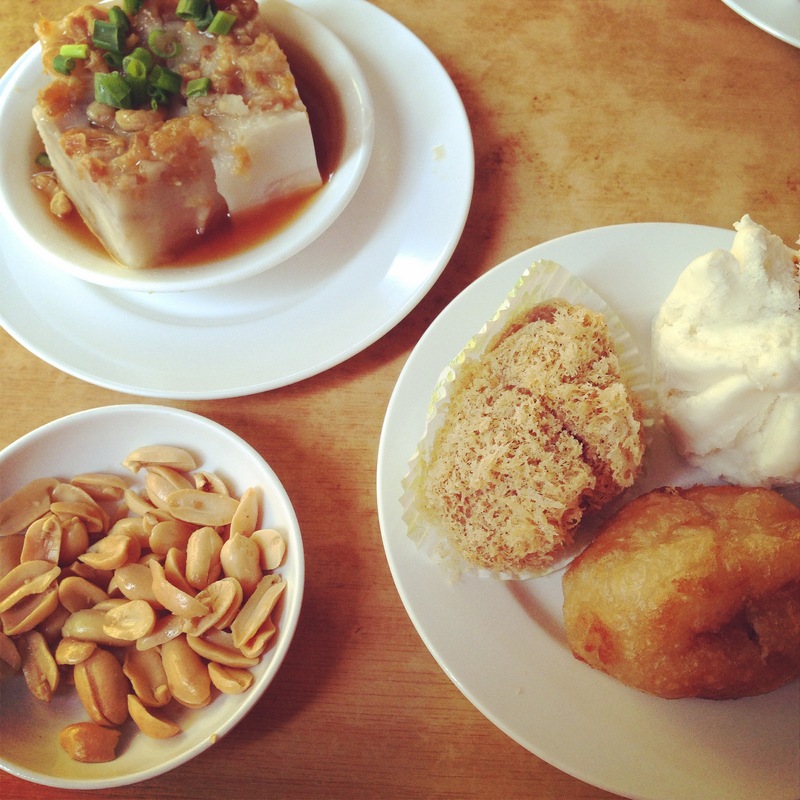 The top left is yam cake, which was nice, then the furry thing is some kind of crispy yam dumpling (meh), then a steamed bao (always solid) and on the bottom a “homestyle puff” which was yummy. My only regret is that I wish I was there with other people so I could sample more! They also served a nice tall kopi with condensed milk over ice, which was an indulgent compliment to my fried plate. 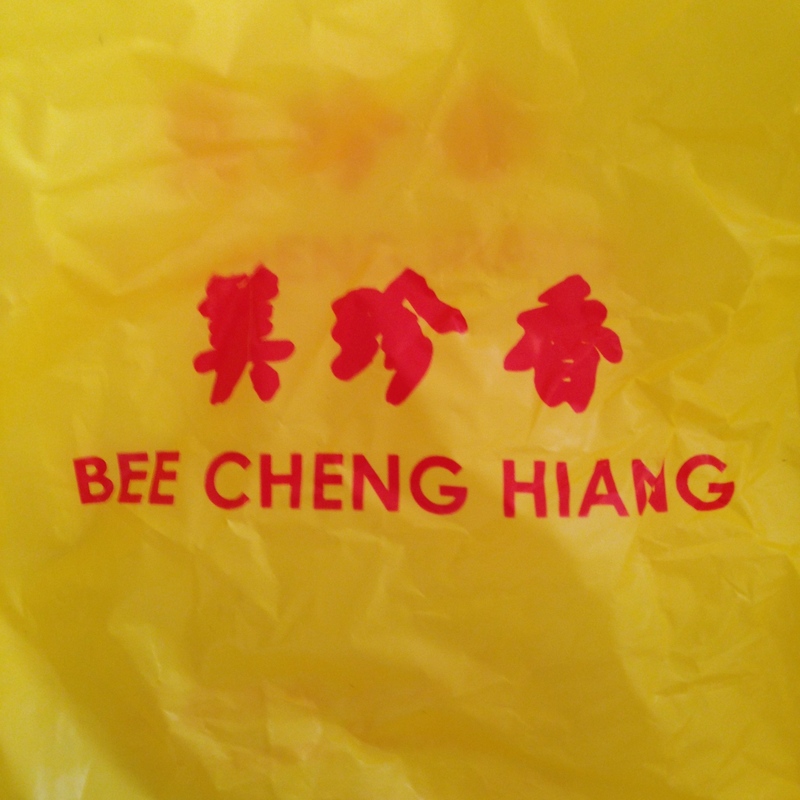 Speaking of fried…..oh man this was an indulgence. 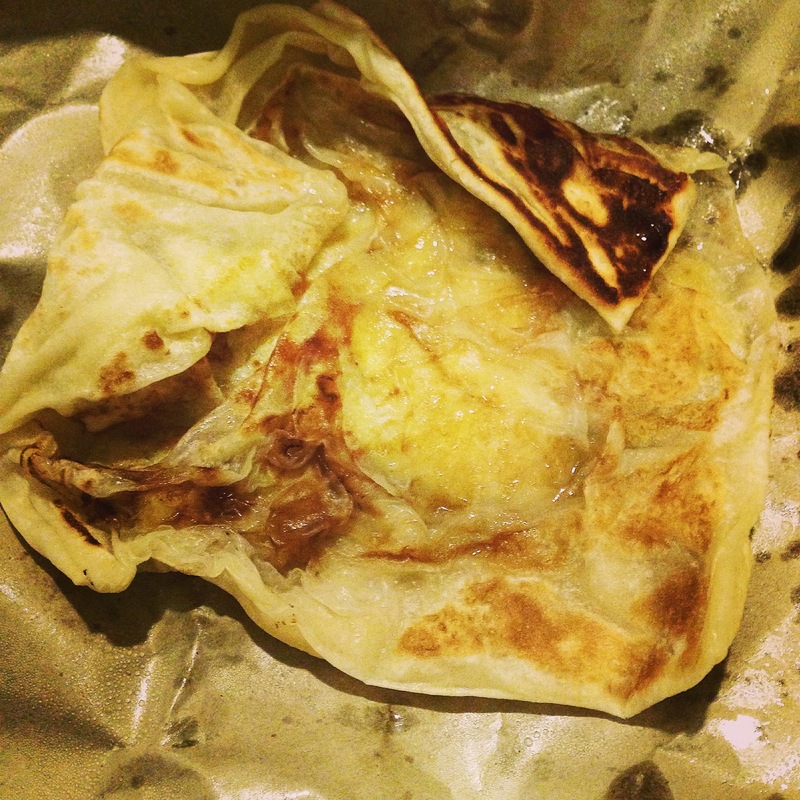 Roti prata is a bready little thing, either stuffed with something delicious or dipped in something delicious. I feel like it was somewhere between a nice soft naan and a thin, delicate crepe. It is prepared from a ball of buttery dough that is stretched and pulled in front of you, then folded up–in my case, around a bunch of sliced bananas, granulated sugar, and ghee (clarified butter)–and then plopped on a hot griddle to get nice and crispy. This is not health food. Especially when you pair it with a sugar cane juice, like I did. But it is obviously super, super yummy. I haven’t yet had a chance to try the savory variety, which is often served stuffing-less, dipped in a nice curry sauce, but I really hope I get a chance to try some before I go! You can find these anywhere, my stop at Pearl’s Plaza was one of desperation in search of something sweet to end my day at a rather late hour, but I am sure there are tastier (and cleaner) options out there. I am both embarrassed and proud to admit that that is only a small sampling of what I have eaten (snacked on, more accurately) during my short time in Singapore. I’ll spare you the mini cheesecakes from Mini One, the weird pastries and treats from the BreadTalk chain, and the insanely delicious Kouign Amann from Tiong Bahru bakery for another post. And I’ll see what else I can cram in before I leave!